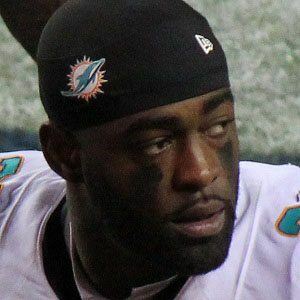 Strong safety who made his NFL debut in 2010 for the Miami Dolphins. He played college football at the University of Georgia. He was selected in the 5th round of the 2010 NFL draft. He was born and raised in Atlanta, Georgia. He got engaged to Darnell Nicole, but they separated in 2016. He has a daughter named Carson. At Georgia, he played with fellow future NFL player Matthew Stafford.